The most awaited motorcycle of 2012 and one that will set the course of Indian motorcycling for the next decade to come, the all-new Bajaj Pulsar 200NS has made its grand arrival. 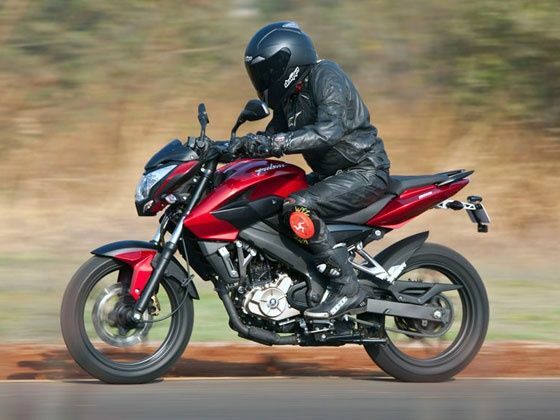 Expected to be priced under a lakh of rupees (ex-showroom, Delhi), the Pulsar 200NS is as good as it gets! Head to our special coverage of the new Pulsar! 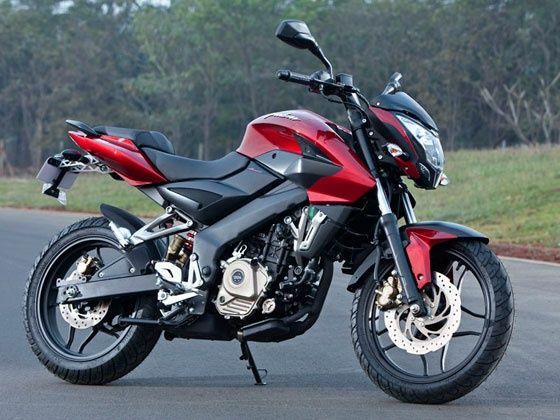 India’s second largest bike-maker Bajaj Auto took the wraps off the next-generation Pulsar today in Mumbai. Revolutionary, radical and realistic, the new Pulsar 200NS (the NS denoting Naked Sports) will be the successor to the country’s highest sold performance motorcycle, the Pulsar. After completing a successful decade long stint and crossing the esteemed milestone of selling over 4 million Pulsars, Bajaj Auto is geared to make its second innings an even bigger success with the new Pulsar and it has all the right weaponry in its arsenal to take on the premium motorcycle market in the country once again. Equipped with state-of-the-art technologies and world class level of components, the brand new Bajaj Pulsar 200NS is entirely engineered by Bajaj Auto and it is a marvel how its maker has managed to package the best of everything into one motorcycle without demanding a hefty premium for it. Powered by a 199.5cc 4-valve, liquid-cooled single cylinder engine, the Pulsar 200NS achieves the goal of more from less in an absolute modest fashion yet rewarding the rider with all the jollies he desires. Fed by a 33mm Mikuni carburetor, the engine pumps out 23.52PS at 9,500rpm and 18.3Nm of torque at 8,000rpm. Developed in-house by Bajaj Auto, the new Pulsar once again comes with ground-breaking of triple spark plug for improved efficiency without having to compromise on overall performance. It is incredible how Bajaj Auto has managed to get absolutely every single aspect of performance (Read: First Ride) motorcycling for the street so right. But when you trace the Pulsar’s development over past ten years, the picture becomes a lot clearer with consistent updates every year, an R&D division that is always on its toes yearning for a faster and quicker Pulsar, teams dedicated to get feedback from online biking forums and motorcycle blogs and to top it all, a visionary like Rajiv Bajaj heading the operation. This is exactly what millions of Indian bikers and countless Pulsarmaniacs have been expecting from the bike-maker that brought power to the people a decade ago (Read : Ten Years of Pulsar) in the form of the Bajaj Pulsar. And in its newest avatar, it pays a fitting homage to the icon that the Pulsar brand has become over the past ten years and one that will continue to reign supreme for the coming ten years as well. The new Bajaj Pulsar 200NS is expected to hit the roads by April 2012 but the price for the motorcycle is yet to be disclosed. Although it is expected that the price will be on the higher side of the current out-going Pulsar 220F DTSi, the company has clearly stated at the unveil of the bike in Mumbai that the price will be under the one lakh rupee range.